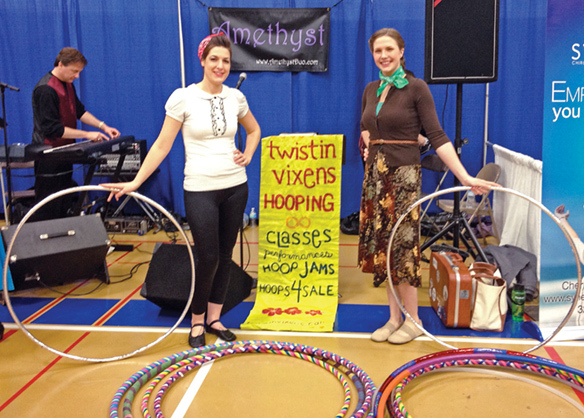 We brought an armload of hoops with us for our hoop dance performance at this years 50s themed Community Showcase in Sartell, MN. 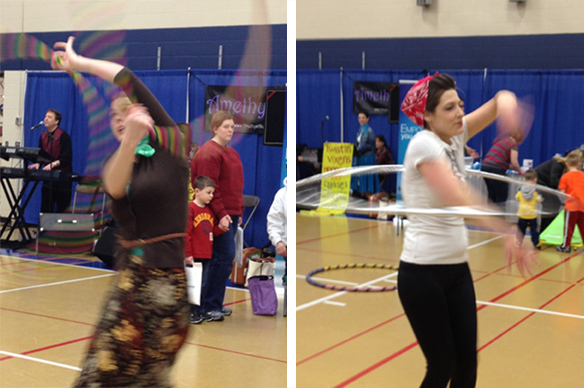 Lots of people picked up our extra hoops to play with during our performance. 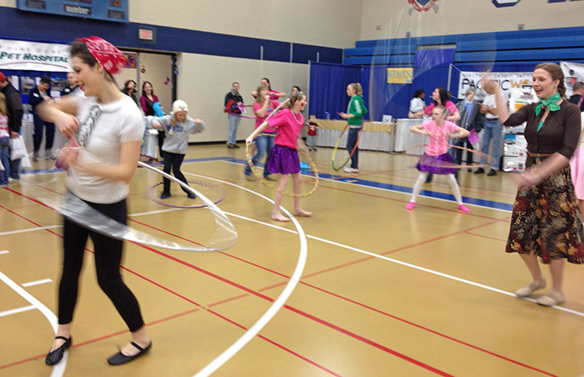 The hoops fit right in with the theme making a fun activity for everybody to participate in. 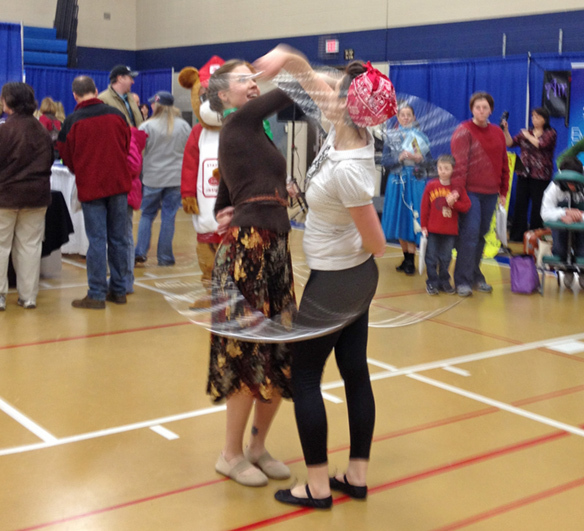 The event took place Feb. 25th at the Sartell Middle School and featured booths from a large variety of local businesses. Along with our hooping performance the event featured musical guests, martial arts demonstrations, ballroom dancing and community ed dancers. We put on half hour performances in two different gyms and received heaps of compliments about how much fun we are to watch. Hopefully we sparked some interest in our upcoming Community Ed Hoop Dance Classes and prompted people to sign up and join us for our upcoming Flow Class that begins March 7th. 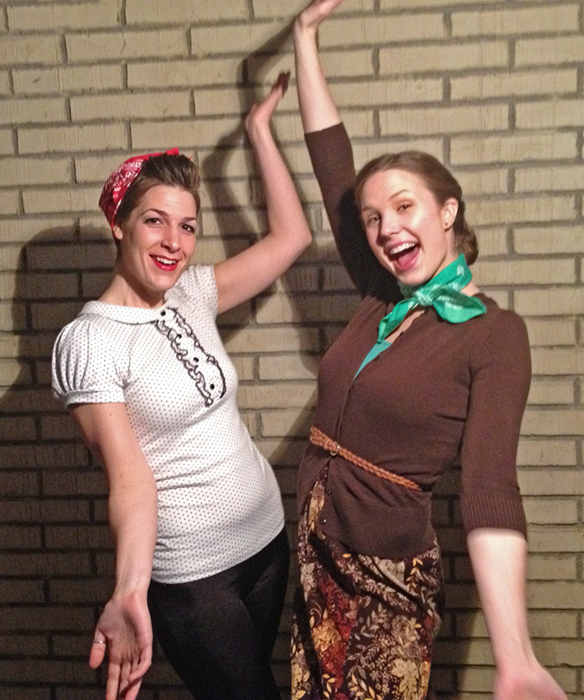 We did the best we could pull some 50s fashion out of our own closets to wear for our hooping performance, not bad when we originally thought we’d have nothing to wear. Next PostNext Flow Classes Begin Next Week!